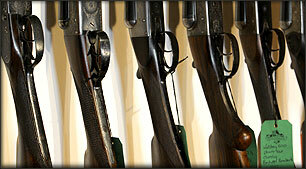 Castle Gunmakers carry out all types of gun repair, servicing and alterations from restocking to barrel blacking. All our work is carried out by highly experienced staff and collection and delivery services are available throughout the UK. Castle Gunmakers are proud to offer our very own bespoke range of over and under game guns and can arrange the manufacture of any type of shotgun or rifle to your specification. 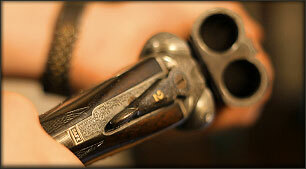 Find out more about our bespoke shotgun range. Castle Gunmakers specialise in the sale of all types of new and used shotguns and rifles, with an emphasis on ‘game guns’ both side by side and over and under, and also keep a selection of sporters and competition type guns. 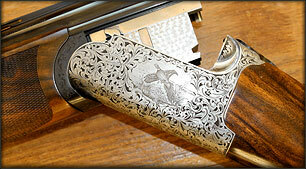 We are are Appointed Dealers for Rizzini, AYA and Webley & Scott in Northumberland and the Scottish Borders. Founded in 2008, Castle Gunmakers have a wealth of experience in all aspects of the gun trade and fieldsports industry, offering a friendly, professional and personal service that encompasses game shooting, clay shooting, fishing and deer stalking. As well as gun sales and gun repairs, we offer advice on everything shooting related, from gun valuations to shooting tuition and sporting agency services for corporate events. If you have any enquiries about shooting, gun repairs or arranging a fieldsports event please don't hesitate to contact us, or if you're in the area, pop into our shop in Norham, Northumberland (just south of the Scottish Borders). 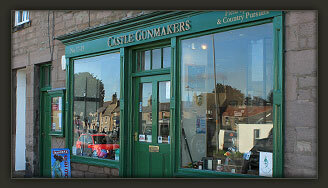 Copyright Castle Gunmakers, Norham, Northumberland, UK. All Rights Reserved. Web design by Scottish Borders Website Design.